Belonging to the most progressive provinces in the Philippines, Bulacan is located just 11 kilometers north of Metro Manila. Well-loved for its sweets and native delicacies, jewelry, meat products, garments, crops, fireworks, furniture, and many others -- it is no wonder since its locals are known to be of great descent, considered one of the nation's leaders especially in the field of the arts. Along with these, awesome Bulacan is popular for having been one of the first to initiate a revolt against the Spanish colonizers in the country, a long, long time ago. #1 - Ancestral homes: Set out for "Bahay na Tisa" in Balagtas, a town popular for its native, Francisco Balagtas Baltazar, who is the father of Tagalog poetry. Likewise, don't forget to go to "Bahay na Bato", or to Mercado House in Bustos, in addition to the Sijo House in San Miguel -- to further give you the "feel" of the lives its locals had way back in time. 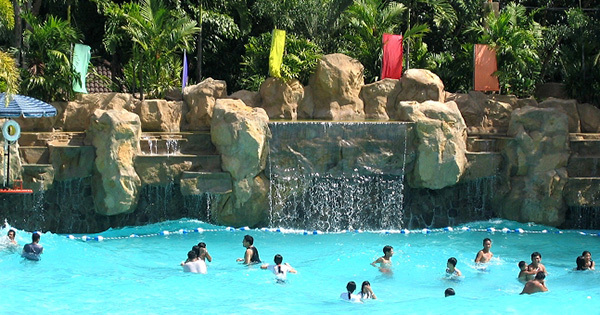 #2 - Resorts: Eight waves, Amana Park and Jed's, promise not only to excite you with their theme parks, but also offer a fantastic way to cool you down with their amazing wave pools on a warm and sunny day. Take pictures as well, with King Kong and Jurassic dinosaur replicas to wow you, your kids, friends and/or family. #3 - Biak na Bato National Park: There is much fun in San Miguel Bulacan, especially when you taste their mouthwatering Carabao Milk Pastillas --such good news, if you have sweet tooth! On top of that, come to view Biak na Bato National Park there, too -- a historic spot famous for Emilio Aguinaldo's signing a pact with Spain -- which the latter put in vain. Hence, more warring took place; nonetheless the Philippines won back its space. Sweet victory indeed!